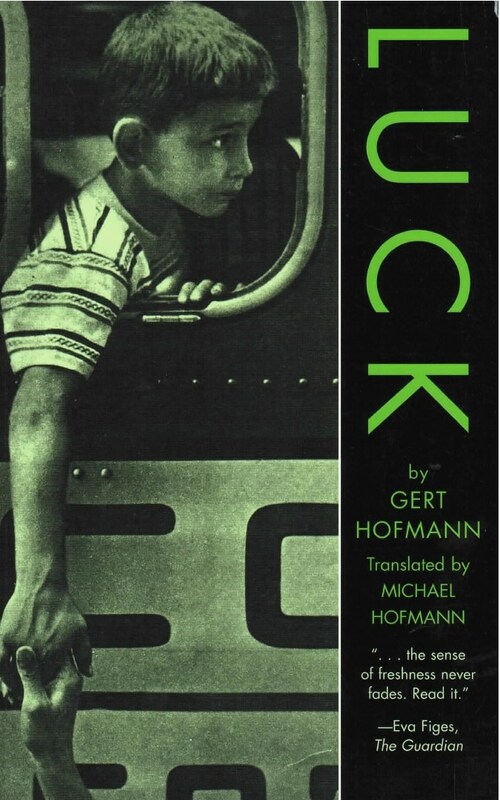 Luck, translated by Gert Hofmann’s son, Michael, is a wonderful book, combining a light touch with underlying pathos, ironic humour with real empathy for the heartbreak of ordinary lives…The kid sister is one of the most memorable depictions of early childhood it has ever been my pleasure to read. A heartwrenching tale of a family’s dissolution told from a child’s crystalline perspective, now in paperback. In this beautiful, bittersweet novel, a young boy tries to come to grips with the dissolution of his parents’ marriage. Mixing humor and suspense to present a heart-wrenching tale, Luck begins and ends on the same day, the “last day” of the narrator’s childhood as he prepares to leave home with Father. Sister will stay behind; Mother waits for her new man to arrive. “Mother didn’t love Father any more, it had just gradually happened like that,” the narrator tells us. Yet, will they really leave? Beneath this deceptively simple surface, between flashbacks and goodbyes, the anticipation builds as extraordinary depths of emotion and vulnerability unfold with “crystalline transparency” (Chicago Review).